We are one of the leading organizations with vast experience which is engaged in providing an exclusive assortment of Stretch Wrapping Machines to our clients. These are applicable for wrapping pallets using stretch cling films. Our range of products are highly appreciated for its attributes like Robust construction and Easy & automatic operation capacity to work under unfavorable working conditions. These can also be availed in customized specifications in compliance to the clients needs and preferences. Power 1 HP 3 Phase 415 V 50 Hz AC. Carton Wrapping Machine – Boxer offered by us are simple and convenient device which are used to wrap carton boxes and objects of similar geometry using stretch film delivered from Powered Pre-Stretch Unit. These are unique and highly precise and can be easily integrated into conveyor lines and are simple to operate. • Provides Extra Strength to the Carton. • Vis-a-Vis any Shrink Machine, this System requires just 10% Electricity Load..
• Vis-a-Vis any Shrink Machine, this System requires just 20% Space. We are qualified manufacturer and supplier of Pallet Stretch Wrappers – Basic Automation in Taiwan. Our machines are used in various application areas like export packing, corrugated boxes packing, pallets packing etc. our products are manufactured using high-grade technology and using premium quality raw-materials procured from the trusted vendors in the market. Auto film clamp, cut and wiper system. Remote control, time saved efficiency increased. 3 auto wrapping programs, user friendly. Turnable film carriage speed adjustable. Auto sensor for loading height detect. Turntable soft star, stop and home position. Height from ground level 00 mm. We are leading manufacturer supplier of Pallet Stretch Wrapping Machine. 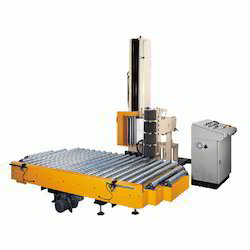 Apart from offering a standard range of Pallet Stretch Wrapping Machine, customers can also avail these machines from us as per their specific requirement. Safety device by micro switch on bottom of spool carriage. Fixed point turn table stopping. Automatic load height sensing by limit switch on sliding guide. Spool carriage : prs/pe power roller pre-stretch carriage with pre-stretch ratio adjustable up to 300 % (depending upon film quality). Soft start through ac inverter. Fixed upward downward spool carriage speed with 20 % overlap. Individual top bottom wrap counters. 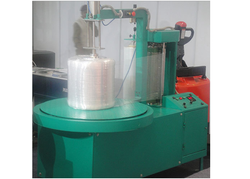 Horizontal stretch wrapping machine or spiral wrapping machines offered by us cuts material costs and reduces damage. These are available in both standardized and customized option. Our products are applauded for its durability and higher performance and are availed in market leading prices. Above features May Vary over a Period of Time, Please contact Us for The Latest Features and Details of the Machine. 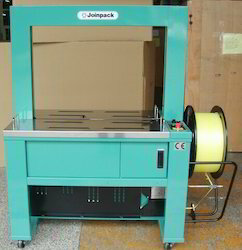 A 'Made for India' Automatic Strapping Machine. Very Rugged Piece of Equipment. Meant for 24 x 7 Working. 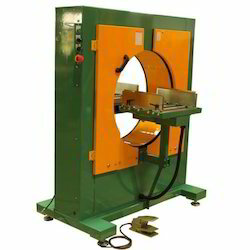 Takes the Load of 3-4 Semi-Auto Strapping Machines. We are fabricating superior and technically updated Wrapping Object In Tunnel. 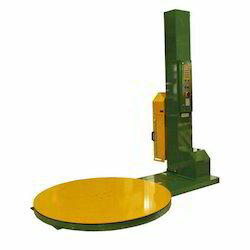 These Horizontal stretch wrapping machines are highly applicable in packaging of shrunken or small sized products. Easy installation even in restricted space. 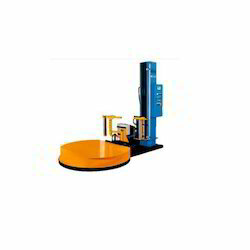 Ideally suited for small products in small to medium number of packages. 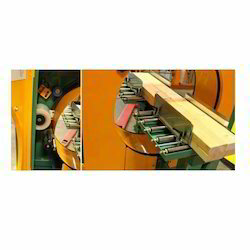 Pallet Stretch Wrapping Machine offered by us are of excellent quality and are highly acknowledged by our clients for its corrosion resistance, better service lives and sturdiness. These are manufactured using advanced quality raw-materials and our products are stringently quality tested under various parameters. Our unique designs leads in easy insertion hence resulting in faster operation and are safer in efforts.